“He” is no misprint. 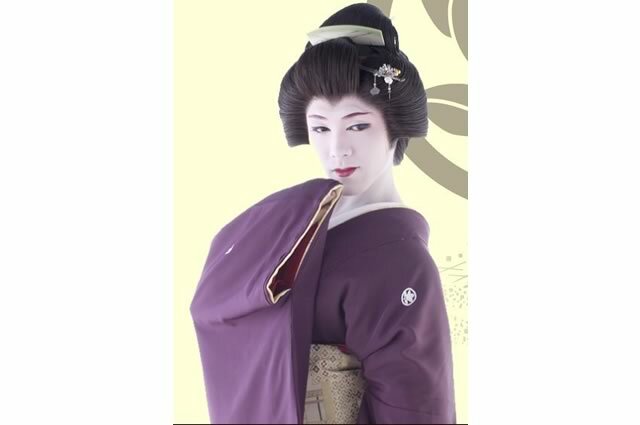 This bewitching kimono-clad boy is one of the most celebrated onnagata of today’s generation in the realm of Kabuki. Daigoro Tachibana was born Daigoro Isayama in a family of actors in Oita Prefecture on the 27th of January in 1987. At the age of two, he was already trained to be a performer and at the tender age of three, he debuted in his uncle’s theatre, Gekidan Tachibana Kikutaro. He was taught and trained by Seizaburo Saruwaka VIII of the Saruwaka-ryuu in the art of Traditional Japanese dance and studied the choreography of Toyotaka Azuma of the Azuma-ryuu . He toured around the country for performances ever since childhood. At a young age, his talent and skills were recognized by many which made him earn the nickname “Taishu Engeki no kai no Purinsu” or “Taishuu Engeki’s Prince” and was branded as a genius onnagata for his bewitching appearance and grace. Just in his teens, he was granted the position Waka Zacho (assistant/youth chairman), a position that names him as the heir and the next chairman of the theatre. Despite of his dream of becoming a professional baseball player, his talent and skill within the realm of traditional Japanese Theatre prevailed. He was then a blossoming young actor and his talent and grace were recognized by an agent which in the future opens the gates for him to stardom. In exchange, there are a few sacrifices he must do. First, no public photos of him without make-up are allowed to be taken and second, no romantic relationships are allowed until he reaches the age of twenty (20). Back in 2003, Daigoro was discovered by Takeshi Kitano while he was performing at Asakusa taishō-kan with the help of the agent who recognized Daigoro’s talent. “Beat” Takeshi Kitano (The Father of Asian Cinema: Dolls, Hanabi) fell in love with the skills of the charismatic (then) 16-year old, Daigoro Tachibana. The director immediately asked if he would like to have a screen debut in his (then) new film, Zatoichi: The Blind Swordsman. He was then given the role of Osei- a Geisha who is in fact a man dressing up as a woman who wants to avenge his massacred family together with his sister. The movie, Zatoichi:The Blind Swordsman, was critically acclaimed internationally and won several awards. The movie introduced Daigoro into a wider audience and his performance was highly praised. His portrayal of Osei made him earn the 13th Japan Grand Prix- Tokyo Sports Movie Award- “Arts and Entertainment Division”. At the height of his success as a performer, Daigoro ventured into different activities after Zatoichi. He made appearances in TV shows, newspapers, magazines and even shows abroad. Daigoro is a well-versed actor and plays male roles such as jidaigeki plays with sword-wielding roles as well as comedic roles.